Well, it has only taken me just over a month, but I have finally taken the film which I took at the Erasure concert off from my mobile phone and uploaded it on to the web. I've done a little tinkering with the videos, and here they are! Hope you enjoy them. I didn't film the whole show although I did manage about 45 minutes, but you'll see just how fantastic the night was (in case you didn't go). Updated 14th October 2013 - The videos should now be back online. Here's a good 'un from 1980... If you've never heard this one before, then listen to it now... like me, you'll probably be singing and humming it for the rest of your life. 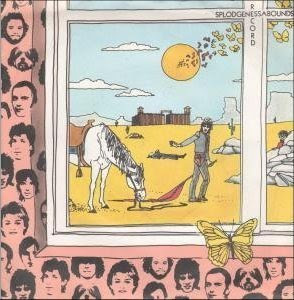 "Have you seen the butterfly, on the windowsill John (Windowsill John). The one I squashed last night, with my fingernail John (Fingernail John). I squashed his little head, his blood was green not red, so I left him (where'd you leave him?) On the windowsill John!" Lyrics do not get much better than that! Splodgenessabounds were/are an English punk group, and this song was released way back in 1980 as a triple A-side single (featuring a cover version of Two Little Boys, and Horse). My parents had it on vinyl, and have fond memories of listening, and singing along to it when I was very small. It's been a few months since my last "Songs that remind me of my childhood", so what better way to return than a classic song by one of the top groups of the 1980's. Duran Duran is one of those groups that pretty much sums up the 80's for me and Rio is probably my favourite song from them. Strangely, whenever I listen to this song, I can always remember one morning when I was very little (probably 1982 or 1983 - my parents were taking me and my sister on a day trip to London, and this song was being played on the radio in the kitchen while we were getting ready. Funny how one song can can make someone remember such a random memory from ones chidhood.